Is it possible that the famous American moon landings were nothing but an illusion - a fabrication? Could NASA have fooled the world by broadcasting simulations that had been filmed for training purposes? From the very first manned flight into orbit right up to the present day there have been serious anomalies in the official narrative of the conquest of space. 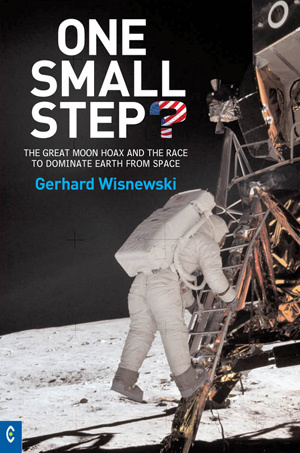 Bestselling author Gerhard Wisnewski dissects the history in minute detail - from the first Russian missions to the final American moon project of Apollo 17 - looking at films, photos, radio communications, personal statements and any other available material. Using forensic methods of investigation, he pieces together a complex jigsaw depicting a disturbing picture of falsifications, lies and fakery in the Cold War struggle for supremacy between the Soviet Union and the USA. The evidence he presents casts serious doubt on the possibility of humans ever having walked on the moon. Wisnewski's research calls for a reassessment of the received wisdom that has entered the fabric of our culture. The true story of space exploration has a more sinister undertone, he argues. Beneath the guise of civilian space travel the US military has been developing fearsome new equipment and weapons to be secretly stationed in space with the aim of militarizing the orbit around the earth. The potential targets: every human being on the planet. Profusely illustrated with over 200 photos and diagrams. GERHARD WISNEWSKI was born in 1959. He studied political science, and since 1986 has worked as an author and documentary filmmaker. His bestselling (German) books include Das RAF-Phantom (The RAF Phantom), Operation 9/11 (Operation 9/11), Mythos 9/11 (9/11 ? a myth) and Verschluss-Sache Terror (The secret files of terror). The film Das Phantom, based on the book Das RAF-Phantom, was awarded the Grimm Prize in 2000.